Creepy or Cool? The World’s Largest Pearls. When most people think of pearls they think of elegant pretty little beads that make amazing jewelry. Well, that might be very, very true but pearls can also look very abnormal. Although its rare, pearls can grow to be as big as an egg, or even bigger! 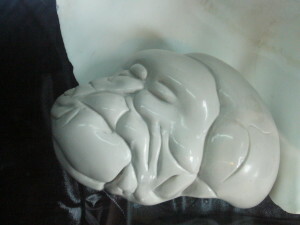 They can also take on a wide variety of shapes and colors. Pearls of unusual shape are referred to as “Baroque” and many of them can be just as beautiful or more beautiful than round pearls are! Believe it or not the pictures you see are real pearls made by real mollusks. Found in the Philippines, these pearls are the largest in the world. Once thought to be the world’s largest pearl, this is the Pearl of Lao Tzu, also known as the Pearl of Allah. For a pearl to reach such a size, it takes many years, possibly hundreds! Because of their size these pearls could be worth millions – that’s more than a house! Can you believe that? A pearl worth more than a house? Well, it’s possible. The “Pearl of Allah”, weighs 14 pounds and is estimated to be worth $60 Million. But would you believe that that massive natural wonder isn’t even the largest pearl ever discovered? 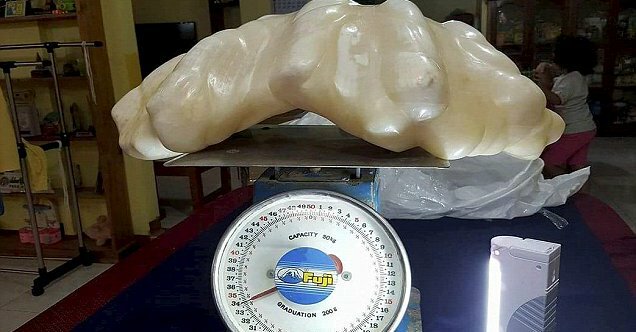 Around a decade ago, a fisherman from the Philippines unearthed the massive pearl pictured below from a giant clam. Deciding that it would be an excellent good luck charm, he kept it under his bed all this time. Current estimates value this 75 pound, two foot long gem at around $100 million. Now that’s amazing. So the question is, are these massive, abnormal looking pearls creepy, or cool? Two foot long, 75 pound pearl found in the Philippines. Want to own your own jewelry-sized, one-of-a-kind baroque pearl? Check out our Aphrodite Collection!